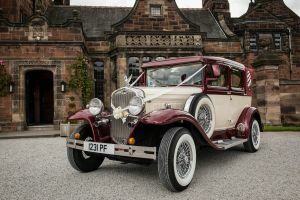 This stunning 1930’s design really is the perfect wedding car. 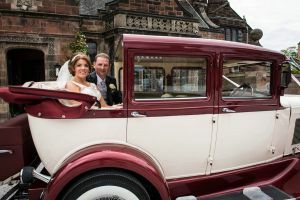 Ideal for transporting the bride and groom, there is plenty of leg room in the rear ensuring the dress stays crease free. Plus the rear door openings are large, making the entry with a dress straightforward. One of the most attractive features of the car is the fact the rear quarter section of the roof folds down, allowing you to arrive in style and the photographer to maximise both light and shot potential. The roof section is very simply to collapse and it can be decided on the day given the weather conditions if you have it up or down.The head room in the rear is also very high. 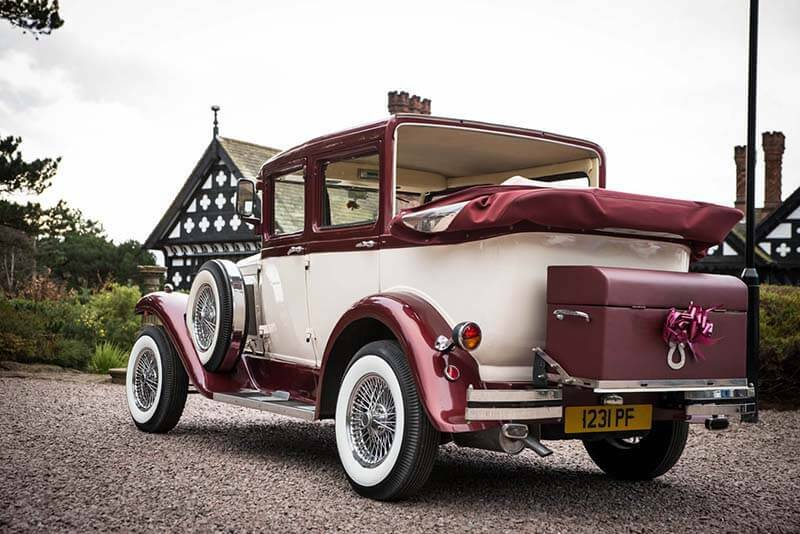 This is important as the bride can semi stand whilst navigating in and out of the vehicle. 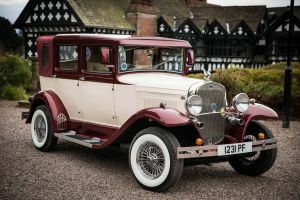 The rear seats can comfortably fit two passengers, although a child or additional petite passenger could also be carried. 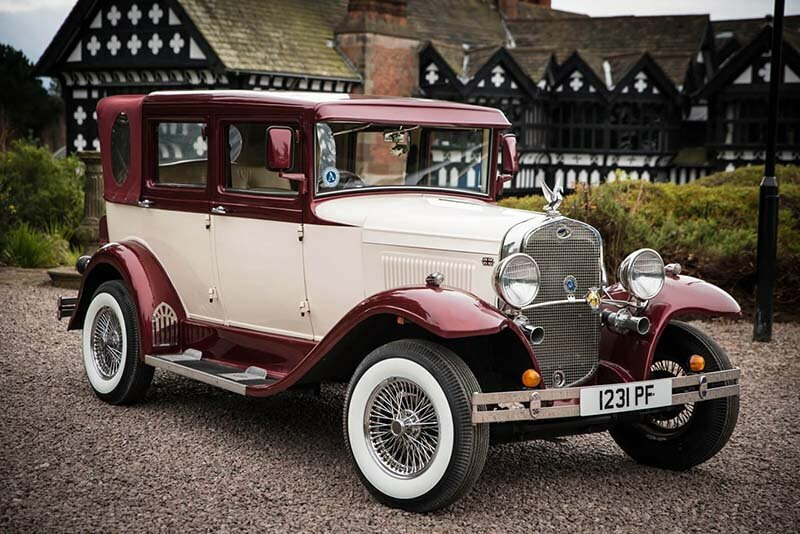 Plus there is a passenger seat in the front of the vehicle. Overall it comfortably seats 3 passengers, 4 maximum.We have also selected white wall tyres to give the vehicle that extra 1930’s look and feel. There is a rear luggage box which can accommodate small bags, plus we have a klaxon horn to alert any guests that may have missed our arrival. 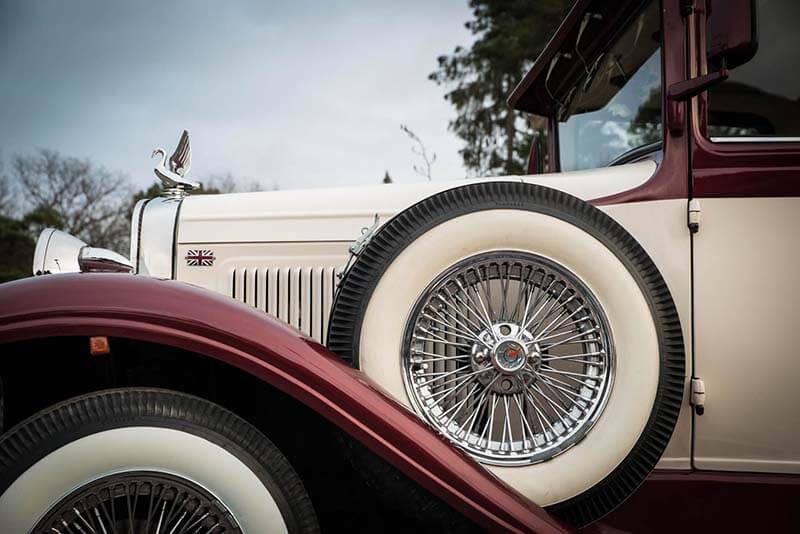 The Badsworth Landaulette has been finished in a Burgundy and Cream. 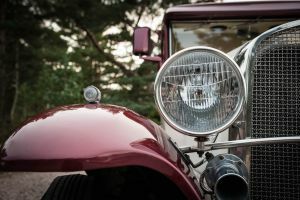 Creating a very unique wedding car that photographs beautifully. 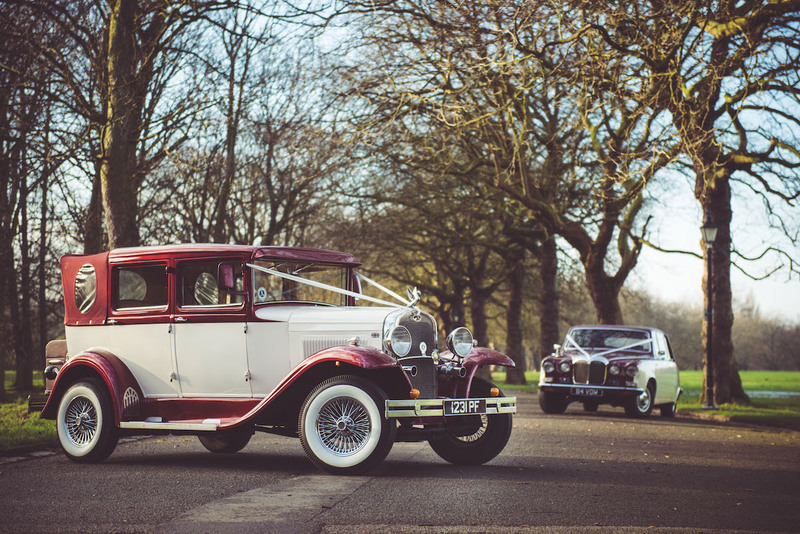 We wanted a car that stands out in wedding images, giving the photographs high contrast whilst remaining classic. 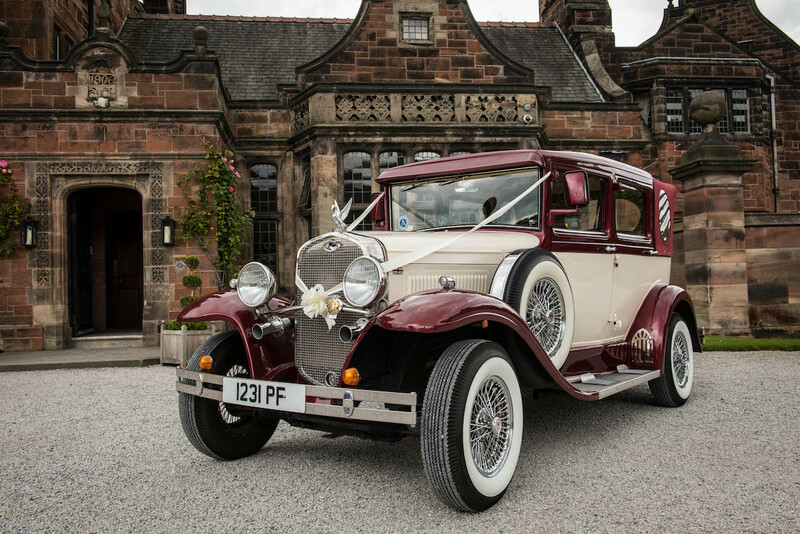 The Bride and Groom will receive a complimentary bottle of champagne courtesy of Keyhole when booking this vehicle. 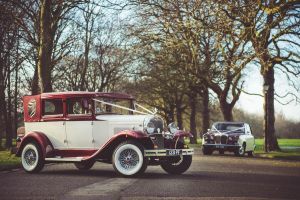 If you are interested in booking our Badsworth Landaulette vintage wedding car please do contact us to check on availability. 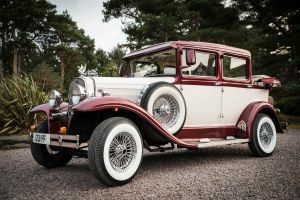 The cost of the car depends if your wedding is in peak or off peak season. The details of these months are listed above. 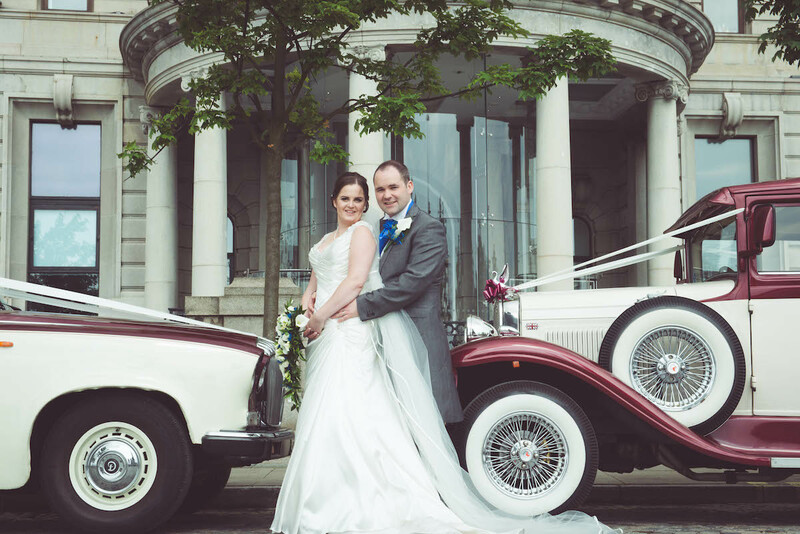 Upon booking we take a £100 deposit, your paper work and details are then taken and logged on our system. The remaining balance is then payable 30 days before your wedding. We then confirm all of the collection and drop off points. If you are considering booking multiple cars please let us know. 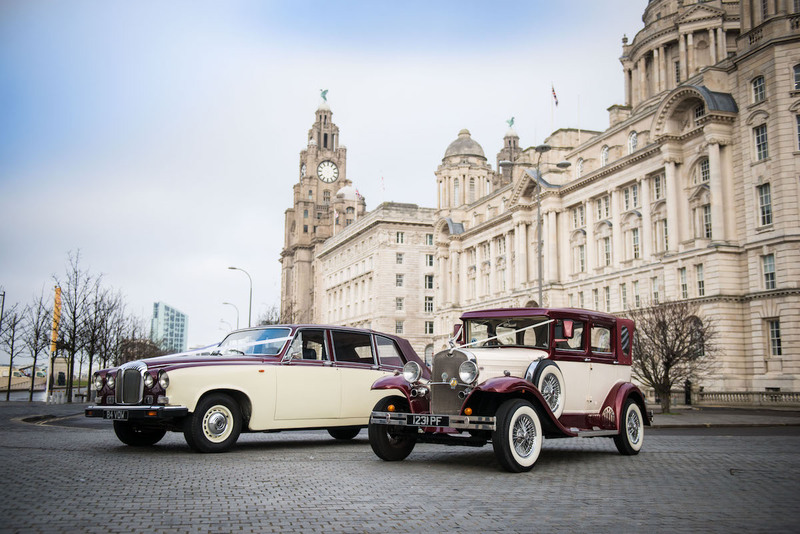 We are very flexible with the hire of our vehicles and we endeavour to not put any restrictions on the amount of journeys we do. However, we will run through the timings with you to ensure there is enough time to do the requested trips.